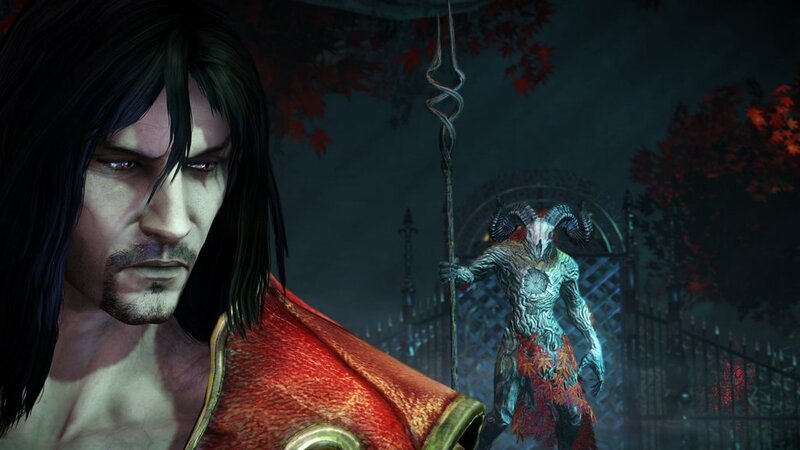 Lords of Shadow 2 is an action game that mixes exploration with stealth, and upgradable abilities. A majority of the game will have you running from point A to point B while fighting a multitude of enemies and the occasional boss fight. There are really two locations you will be going through. One is the city that is actually called Castlevania City (I know, it’s stupid), and the other is Dracula’s castle from his past. Your main weapon is the blood whip. This is your standard weapon and pretty much works like the combat cross from the last home console game. 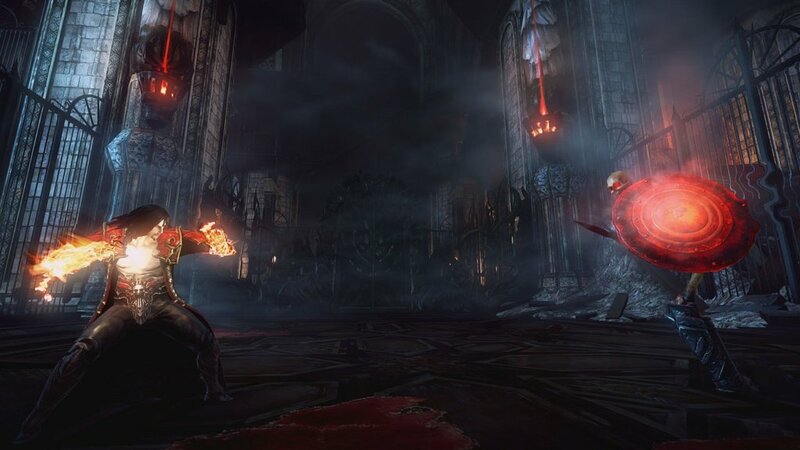 The changes to combat come in the form of the two main weapons you will use while fighting enemies. The first weapon you get is the Void Sword. This weapon is used to regain health from enemies. The Chaos Gauntlets are used for slow, but strong close-range attacks, and are able to break shields and armor off of stronger foes. You will also gain a couple of different sub-weapons and items like daggers, a swarm of bats, health potions, a potion that increases the strength of all of your attacks, a potion that refills full magic for almost a minute or so, a room-clearing attack, and you get the idea. The combat this time around is much more versatile and satisfying. The feel of the combat is smoother, and with a controllable camera, feels more fluid. 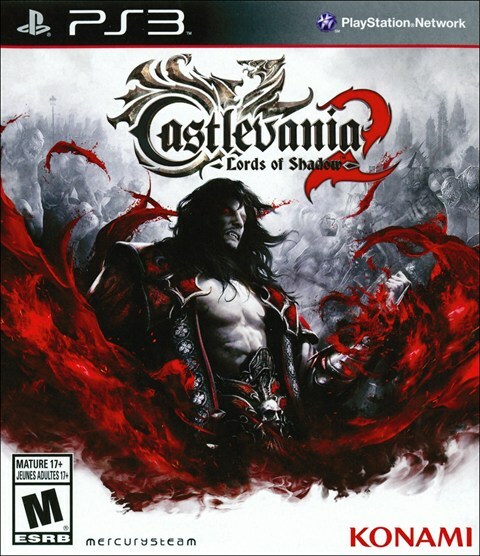 Outside of combat, you will be traversing the landscape and the castle, platforming, and when the time comes for it, you will have to go through stealth missions. The stealth missions aren’t very long, and there are only a handful of them in the game. 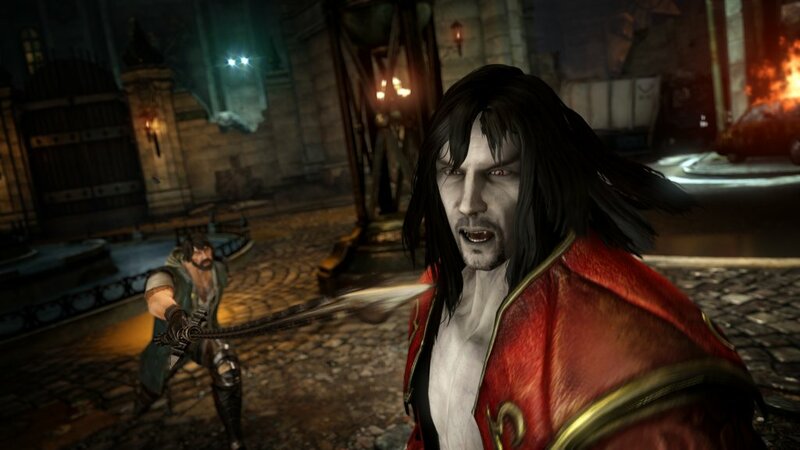 You will need to use your vampire powers to get past enemies that you can’t kill. It feels kind of archaic in design, but there are a few things that they do to mix up the stealth missions a bit. You can use your vampire abilities to summon a swarm of bats to distract guards, use the mist ability to sneak past guards and gated doors, take over the body of a horde of rats to sneak past the guards, and even possess said guards or scientists when you are in the modern day city. You can go back and forward from the past and present through portals that are all around the city. You can also access maps where you can teleport to any part of the city or castle you want. Remember that little obnoxious character, the chupacabra from the first game? Well, now he runs a store you can go to and purchase items that are for sale. This is one of the longest action games I have played, as I beat it around the 20 hour mark. 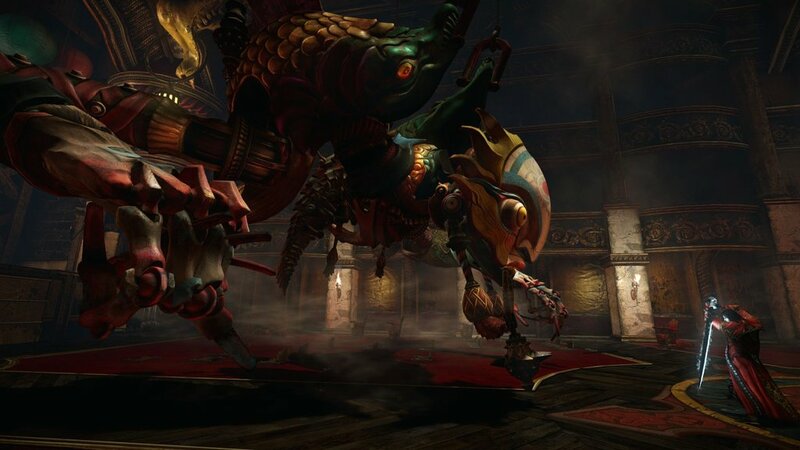 The game can be challenging, and it requires you to get good at enemy patterns, and knowing what moves to use. If you play on easy, the quick-time events are taken out, but are there when you play on normal and up. There is also a game-plus mode when you beat the game the first time. As much as I would love to praise this game head-to-toe about how great of an experience the overall game is, there are some issues that need to be addressed. One of the first things I am going to talk about is the stealth sections. They almost felt out of place while I was playing them. They also felt a bit old-school, in terms of design. I mean, I am Dracula, why can’t I take down these supposed “invincible” armored enemies? They were kind of cool, but nope! Since 2000 to now, we have had stealth games that offer stealth and combat, like the Assassin’s Creed games, where you can stealth your way past harder enemies, but you at least have tools that you can fight against them with. However, the stealth gameplay really doesn’t become an issue until you face Pan’s brother, Argeus. Every critic I have seen pans (sorry for the pun) Argeus’ level because it is downright brutal in terms of difficulty since you have to evade him while he hunts you down. It also doesn’t help that there are not a whole lot of ways to distract him or evade him differently when he can hear you run on the ground since it’s covered in leaves. Normally, there are always opinions on certain aspects of games and gaming in general that I don’t always agree with other reviewers about, but this is one criticism that I fully agree with them on. This stealth maze section could have been fun, but once I got through the maze, I was more relieved that the hardest level of the game was over, not because I had fun. The boss fight with Argeus almost makes up for it, but man, that part of the game sucked. Personally, I think they need to patch that part and make it less punishing. Thank goodness for the mist ability though. Try using it whenever you can during that level. My only real other complaint is that I felt like certain characters kind of or did get the short end of the stick. I mean, poor Simon Belmont. Wonder what happened to him after Mirror of Fate? Why couldn’t he be in the story? 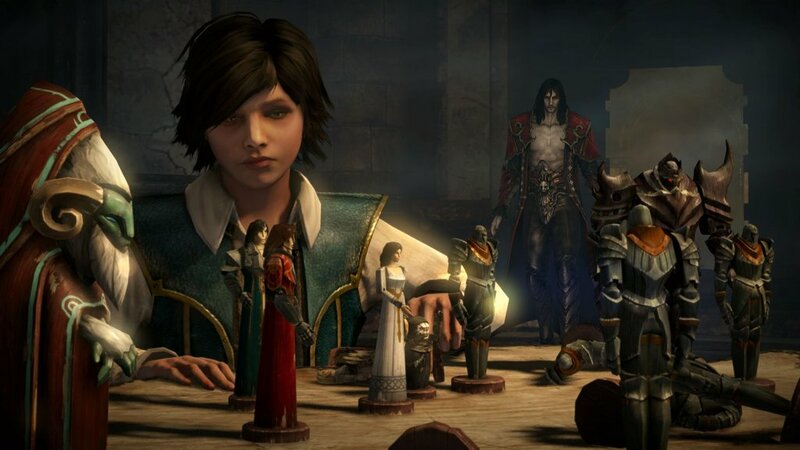 What about Victor Belmont? He is only in the story for about an hour, and then kicks the bucket. He was an interesting character and had a great boss fight that made me remember the weapon arsenal I had in the first game. I felt like they could have done more with some characters. Now, some of the characters that are in the game still don’t have too much explained about their persona, like the Toy Maker. Despite having his backstory explained, there is a bit of mystery to him and other characters that are worth having. I also felt like the ending, while good, could have been better. If you don’t think about it for a few minutes, it can come off as underwhelming.